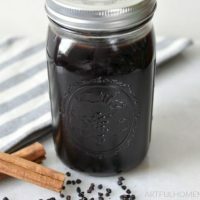 Instant Pot elderberry syrup is so easy to make! 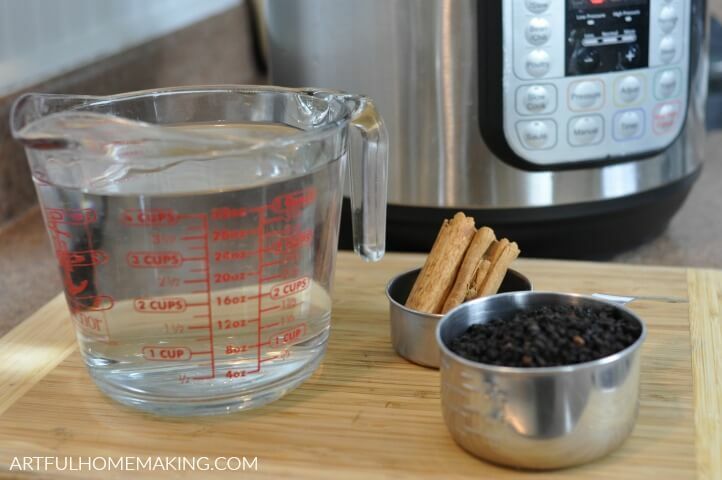 Learn how to make homemade elderberry syrup in the pressure cooker with this recipe. There are recipes for elderberry-based medications in the records dating as far back as Ancient Egypt. Historians, however, generally trace the tradition of the elderberry’s healing power back to Hippocrates, the ancient Greek known as the “father of medicine,” who described this plant as his “medicine chest” for the wide variety of ailments it seemed to cure. All of these are compelling reasons to keep elderberries and elderberry syrup on-hand in your natural medicine cabinet! We have two elderberry bushes in our backyard, so I sometimes harvest our own, if I can get to them before the birds do! More often than not, however, I just buy a bag of dried elderberries because it’s so much simpler. The supplies and ingredients needed to make Instant Pot elderberry syrup are pretty simple. You’ll just need a few items, listed below. 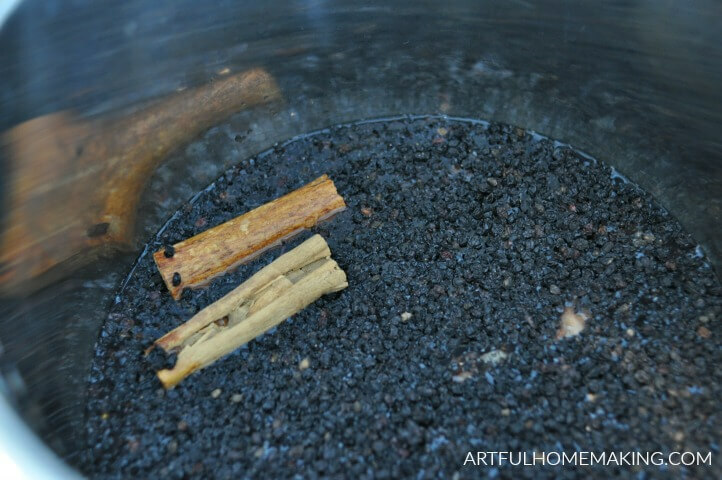 If you’ve ever wondered how to make elderberry syrup, you’ll soon see how simple it is! Don’t want to make it? You can find pre-made elderberry syrup here. I’ve made it on both the stovetop and in the Instant Pot, and both ways are easy. Add the first four ingredients to the Instant Pot (don’t add the honey). Place the lid on the Instant Pot and lock it. Set the vent to sealing. Press the manual button and set time for 15 minutes. When cooking time is up, use a natural release. Strain the elderberry juice with a fine mesh strainer. Press elderberries with the back of a spoon to remove more juice from the berries. Allow to cool completely (or at least for 15-20 minutes). Add the honey and mix well to combine. Store in the refrigerator for 2 weeks. You can also freeze the elderberry syrup in ice cube trays for longer storage. 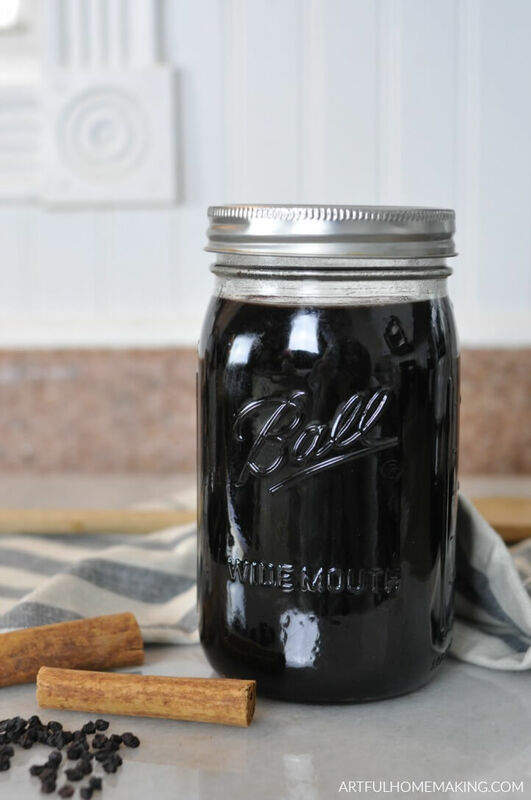 Instant Pot Elderberry Syrup is easy to make! With your pressure cooker, you can make a big batch to have on-hand whenever you need it. 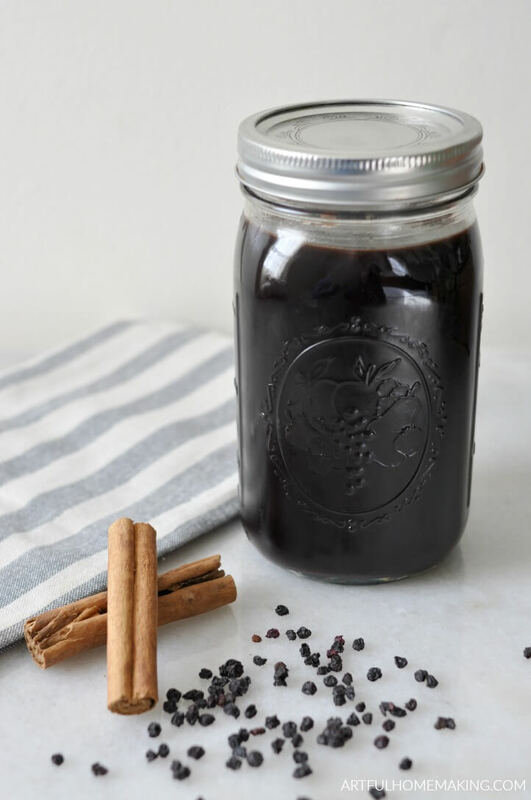 Learn how to make elderberry syrup with this simple recipe. Add the first four ingredients to the Instant Pot (don't add the honey). Pour completed elderberry syrup in jars and label the jars. Store in the refrigerator for 2 weeks. You can also freeze in ice cube trays for longer storage. Suggested Use: Children over 1 year of age can take 1/2—1 teaspoon a day (do not give to children under 1 because this recipe contains honey). Adults can take 1 tablespoon per day as a preventative, and increase to every 2-3 hours if you feel an illness coming on. 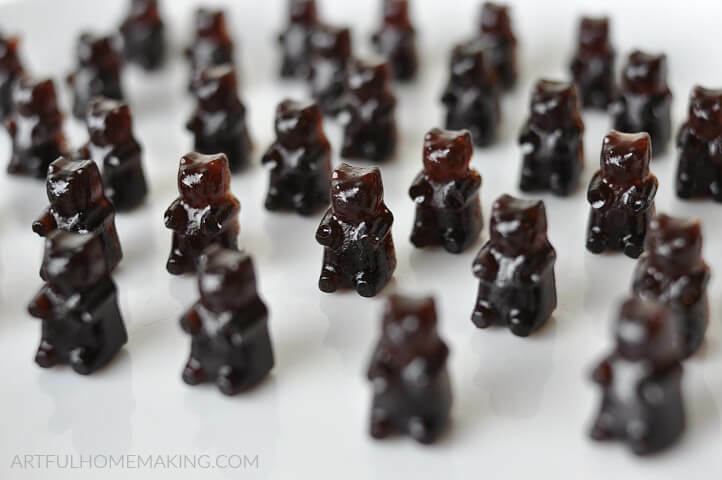 With just a few simple steps, you can take your homemade elderberry syrup and turn it into gummies! Kids love eating elderberry gummies, and they’re so easy to make! Click here to learn how to make them! In case you don’t have an Instant Pot, here are the simple instructions for making it on the stovetop. Combine all the ingredients except for the honey in a pan on the stovetop and bring to a boil. Turn down the heat and let simmer on the stovetop for 30 minutes. Strain the elderberry juice with a fine mesh strainer. 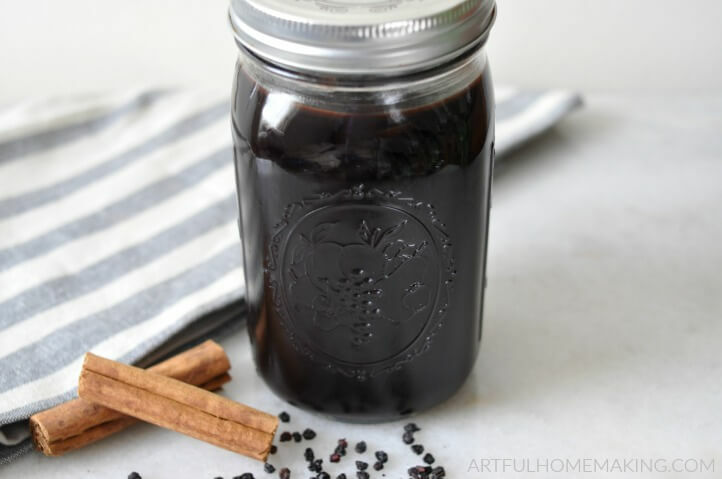 I hope you enjoyed learning how to make Instant Pot elderberry syrup! I have wanted to make this forever! Do you have directions for how to make it on the stove or crockpot? I do not have an InstaPot :(. Thanks so much for this!!! I keep thinking I should add the directions for stovetop for those without an Instant Pot. I’ll try to get them added soon! Saw your post on the Simple Homestead hop! We’ve found them very easy to grow! Lovely recipe. How many fresh berries should I use instead of dries? Thank you, Bobbi! I haven’t tried it with fresh berries yet, but I may this coming summer when our trees are producing again. For this recipe, I would try 1/2 cup fresh or frozen berries. Hope that helps!